How to make sure your teaching application stands out in a good way! The Class Professionals team would like to share our ‘top tips’ for success. Show that your values are aligned with the position you are applying for. Do your research and show that you are going to “add value”. Don’t send a generic letter. Bullet points and short paragraphs can help to emphasise points. Always start with your most recent experience and work backwards. Make sure you include ALL professional development. Don’t think that your skills are irrelevant. If you can play the piano, mention it, it may not be relevant to that particular position, but it is an added skill and might help to draw attention to your application! Show awareness of the students’ needs and the wider local community. Focus on your knowledge, practice and engagement. ‘Unpack’ evidence rather than making general claims. Proofread, Proofread and Proofread again! 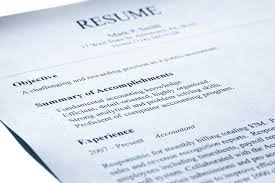 You would be surprised at how many resumes we receive with very simple spelling errors. One of the most common is School Principal spelt as Principle! Did you know that child care centres are currently subject to 1,280 pages of law, 345 pages of regulation and 1,149 pages of guidelines? A screening number is required by teachers and education assistants looking to obtain work in Department of Education Schools. Criminal screening is the process of gathering relevant information in order to assist in making an informed decision about a person’s suitability for employment. The Education Department’s policy requires new applicants to consent to the Department’s National Police History Check (NPHC). This is not a National Police Certificate issued by the police through a Police Station, which is applied for at an Australian Post office. Education assistant’s screening numbers are valid for 6 months from date of issue or 6 months from the last day of employment. Teacher’s screening numbers are valid for 12 months from date of issue or 12 months from the last date of employment.